Lambeth Palace is the official residence and office of the Archbishop of Canterbury and Mrs Welby, and this post gives an excellent opportunity of working in a small, friendly, busy office, in unusual and pleasant surroundings. The staff members at Lambeth Palace work as a close-knit team and support each other at busy periods with flexibility and good humour. The new role of Lambeth Conference Coordinator at Lambeth Palace has been created to assist with the coordination of all practical arrangements for the Lambeth Conference. This is an excellent opportunity to contribute to the work of the Archbishop of Canterbury, as one of the instruments of the Anglican Communion and the person who convenes the Lambeth Conference. This role will report directly to the Adviser for Anglican Communion Affairs and will be based in the Anglican Communion (AC) Team at Lambeth Palace and occasionally at the Anglican Communion Office (St Andrew’s House). As Lambeth Conference Coordinator, you will be the key operational link between Lambeth Palace and the Lambeth Conference staff at the Anglican Communion Office (ACO), collaborating with colleagues and ensuring that all matters relating to the Lambeth Conference are appropriately handled and that all correspondence is replied to. Your contract is expected to start from July 2019 and will end on the 31 August 2020. It is a role that will require 3 days a week for the period from 1 July 2019 to 31 May 2020 and thereafter to 5 days a week from 1 June 2020 to 31 August 2020. Interviews are expected to be held on Monday 20th May 2019 or Friday 31st May 2019. Coordinate and ensure collaborative working relationships with all staff at Lambeth Palace who have some direct or indirect roles to play on the Lambeth Conference. Undertake research and needed preparatory work on talks or presentations. This is done in collaboration with the Chaplaincy team and others. Work closely with the Lambeth Conference CEO, AC colleagues, the Events team and others at Lambeth Palace on Day 5 of the LC2020. 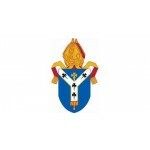 Support colleagues at Lambeth Palace in those aspects of their portfolios which relate to the Lambeth Conference under the overall direction of the Adviser on AC Affairs. Taking forward practical arrangements on the Lambeth Conference from Lambeth Palace working in collaboration with the Lambeth Conference team at the ACO, AC team and other colleagues at Lambeth Palace under the oversight of the Adviser on AC Affairs. Attendance of meetings that are related to the Lambeth Conference and may be requested to assist in the preparation for and be general secretariat of such meetings. Work with the Adviser to ensure that action points from these meetings are conveyed to colleagues at Lambeth Palace are taken forwarded and implemented accordingly. Assist the Anglican Communion team in replying to all incoming communications for the Archbishop on matters on the Lambeth Conference, preparing replies to diverse and complex correspondence from around the Anglican Communion (AC) on the Conference and other related matters raised in correspondence.